Kyle and Lisa met on the popular dating app Bumble, an app that allows women to have up to 24 hours to respond to a guy after their initial interest. They didn’t meet in person for their first date until 5 months later. Kyle proposed during a beautiful vacation to Greece, in Oia Santorini on 9/10/2017. Lisa had always known she wanted a destination wedding. She never wanted a basic reception in a banquet hall. Lisa said, “I wanted it small and intimate, where memories could be made by a vacation”. Kyle was on board and was excited at the ability for friends and family to be a part of the celebration. Together with their Destify agent, Daniel, they landed on the wonderful Dreams Tulum resort in Mexico. The resort checked off everything they needed for their wedding, the location, plenty to do for kids and families, and easy flights for their guests. The couple both agreed they were so happy they chose it. On the day of their wedding, Lisa said everything felt like a sprint until she walked down the aisle and time slowed down. The couple had their photographer Ashley Klemm for much of their stay, who took pictures while they got ready, and even captured the first look. When walking down the aisle Lisa said, “That’s your moment where it all comes together and it’s magic”. After the couple held a private reception, with cake and delicious food by the ocean, and fireworks, videography and more. The reception featured some heartfelt speeches from the maid of honor and the best man, and the couples’ first dance had many of the guests shedding tears. The couple also took the time to film a truly outstanding wedding video. 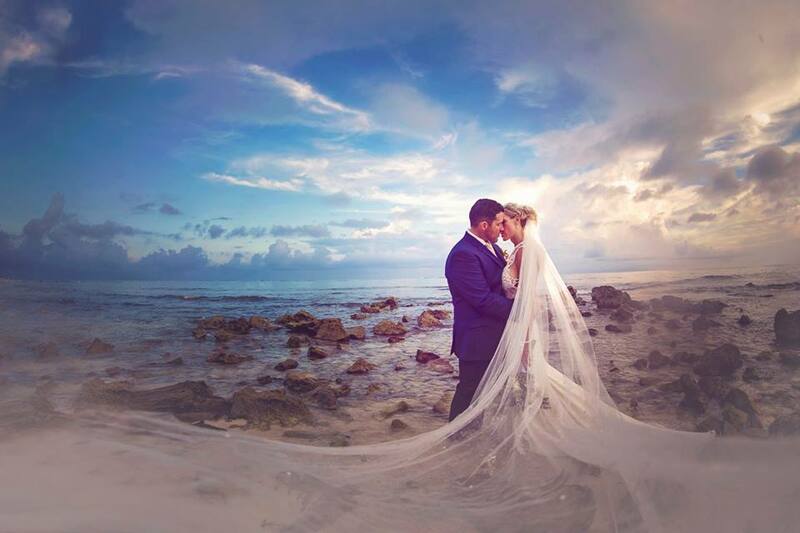 Lisa + Kyle – Tulum, Mexico Trailer from Love Story Films on Vimeo. The couple advises to do your research and to read the fine print, you could save a lot of money by bringing much of your own decor with you. This is a one time event so don’t be afraid to go above and beyond. Focus on one thing at a time and remember what it’s all about, your love for each other. The most memorable part was sharing laughs and making memories with all of our guests.